GRAND RAPIDS, Mich. (WZZM) -- Police are looking for the person who robbed a southwest Grand Rapids gas station Wednesday night. 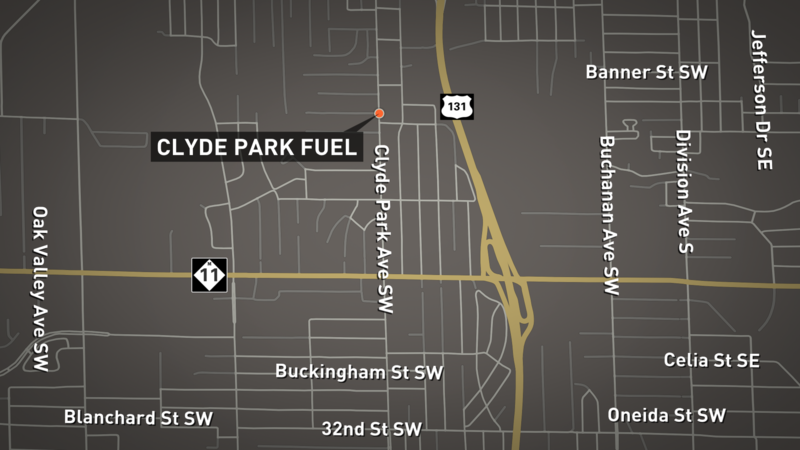 Shortly after 9 o'clock, officers were called to Clyde Park Fuel, police said, on Clyde Park at Alger (along the border with the City of Wyoming). A single shot was fired during the robbery. No injuries were reported. We're gathering more details on this developing story.